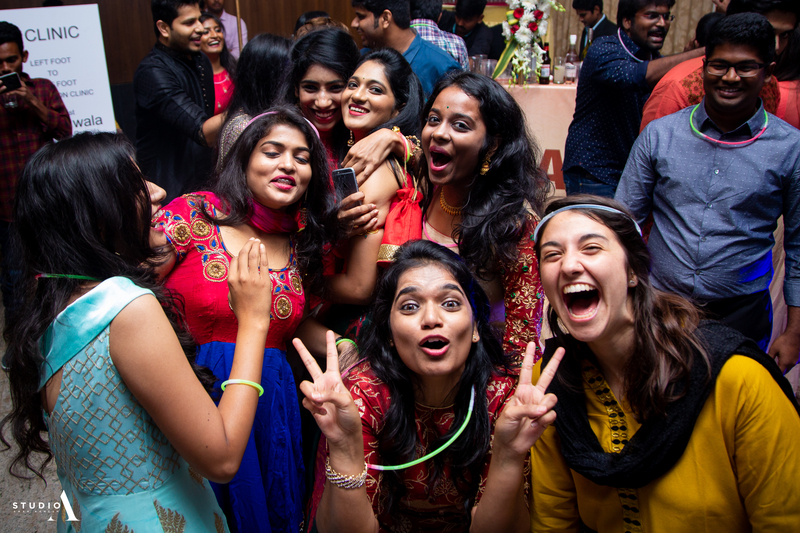 Friends together watching the cricket match, and a guy exclaims loud for a sixer in the TV screen. 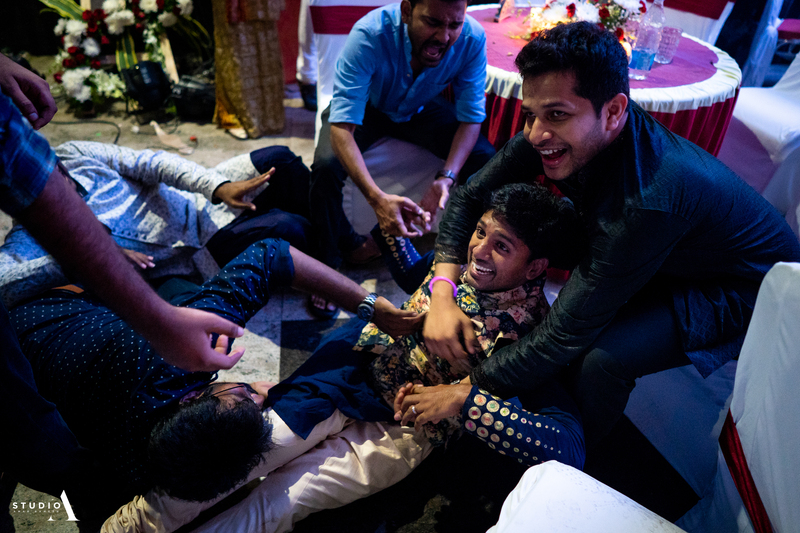 Another girl in the gang corrects him that it was a replay. 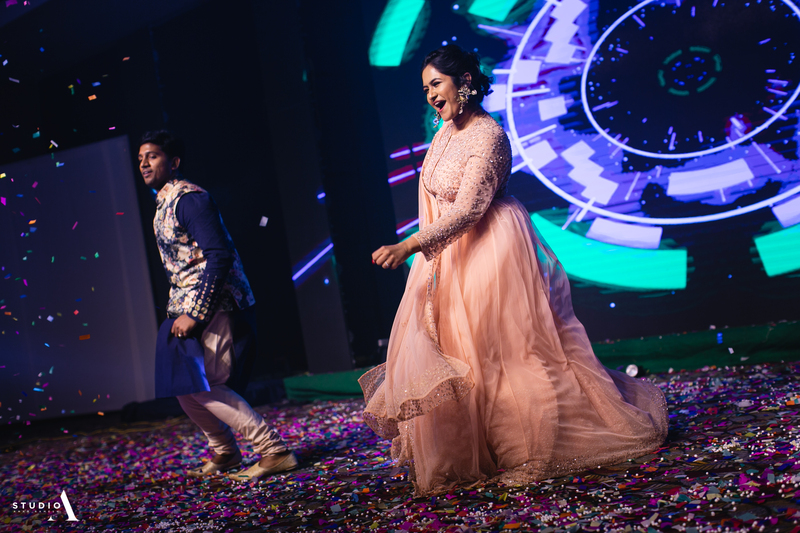 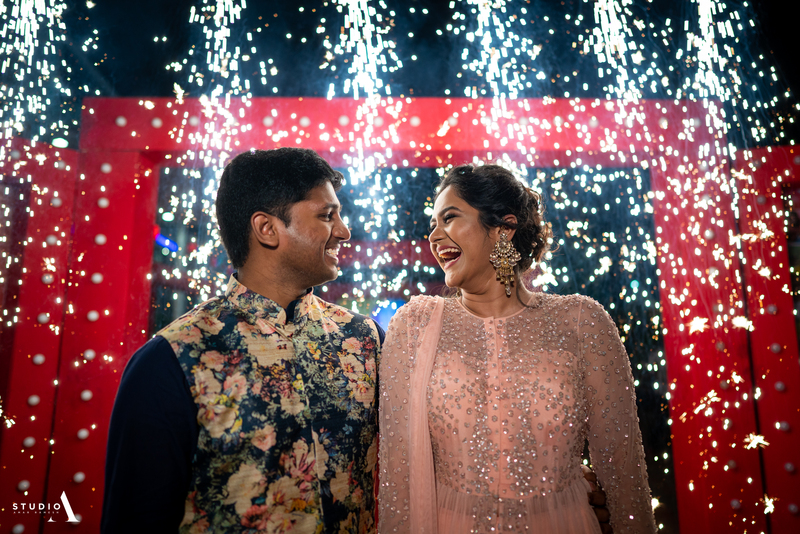 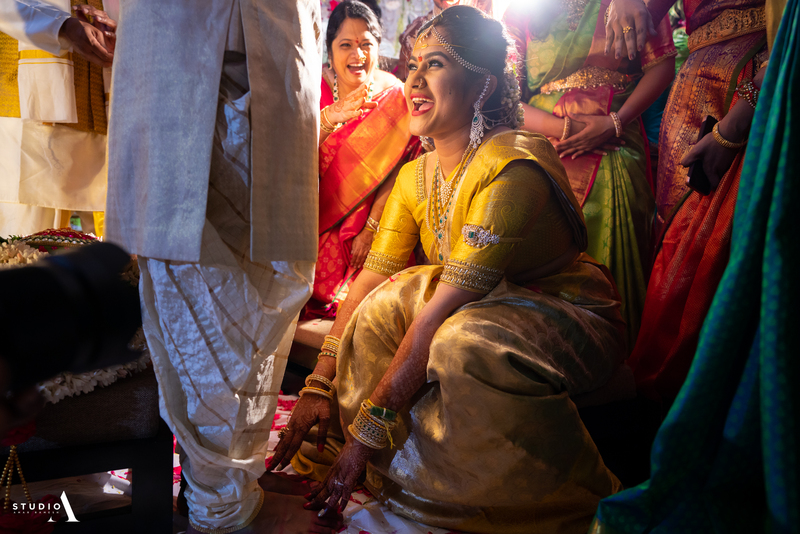 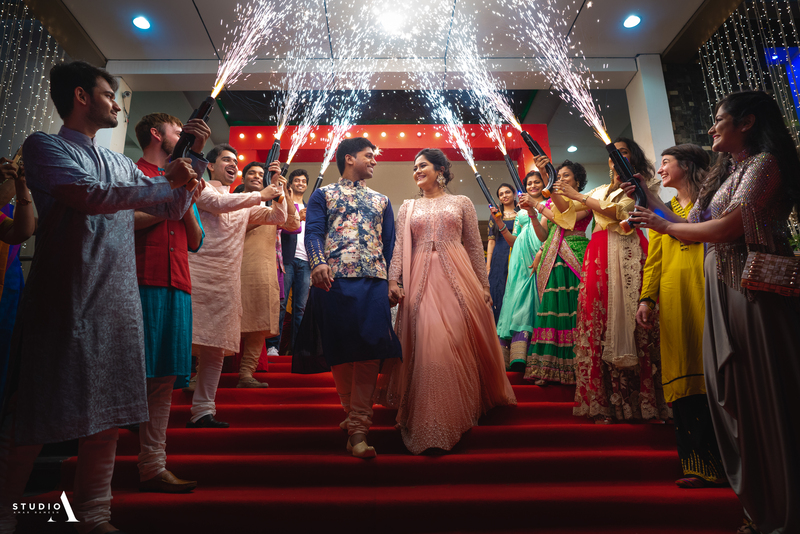 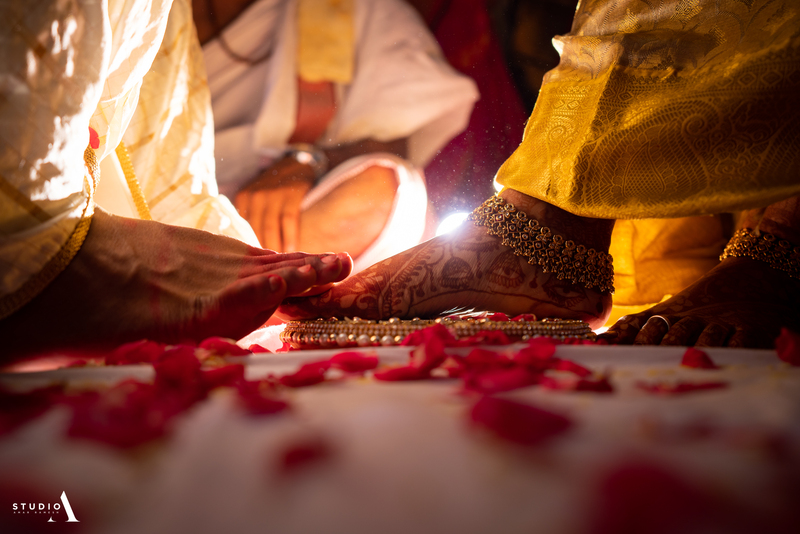 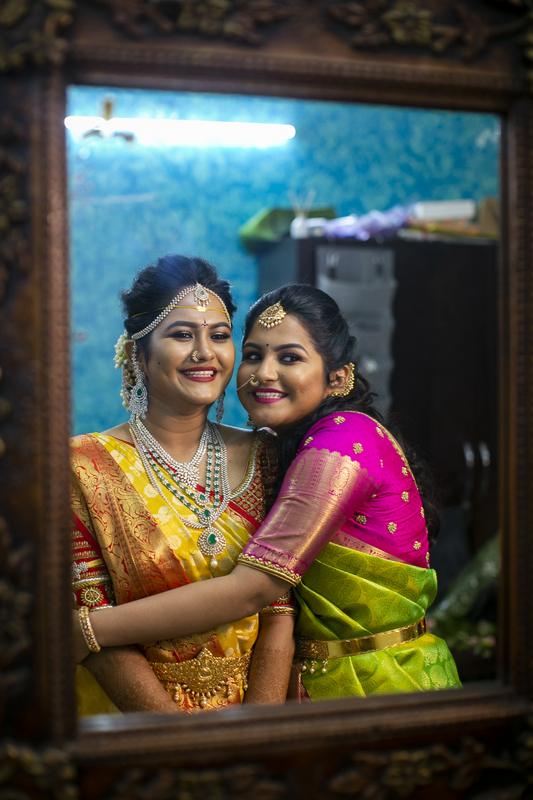 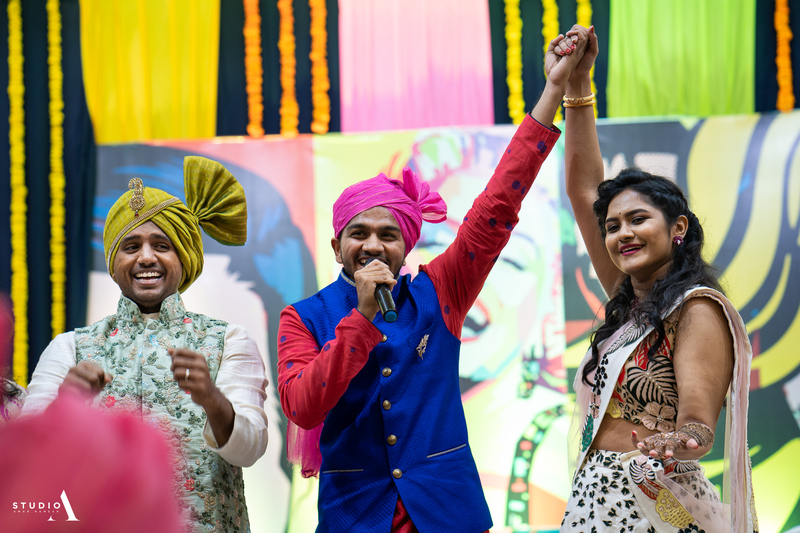 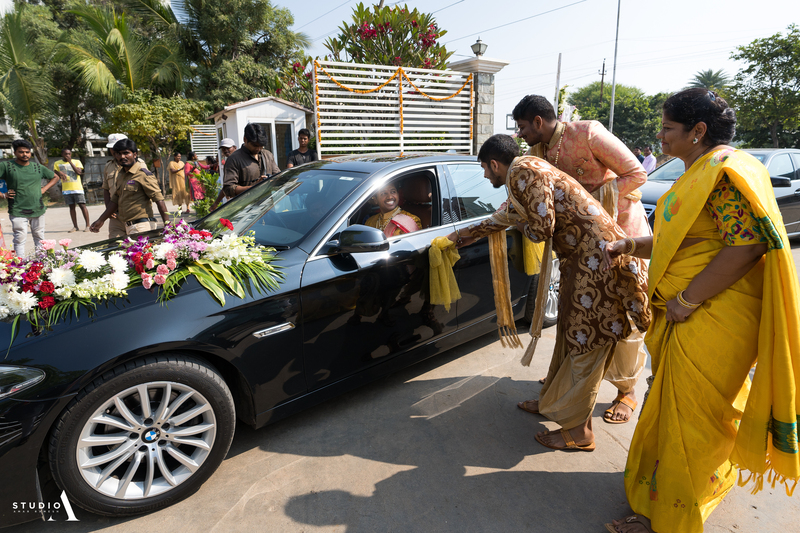 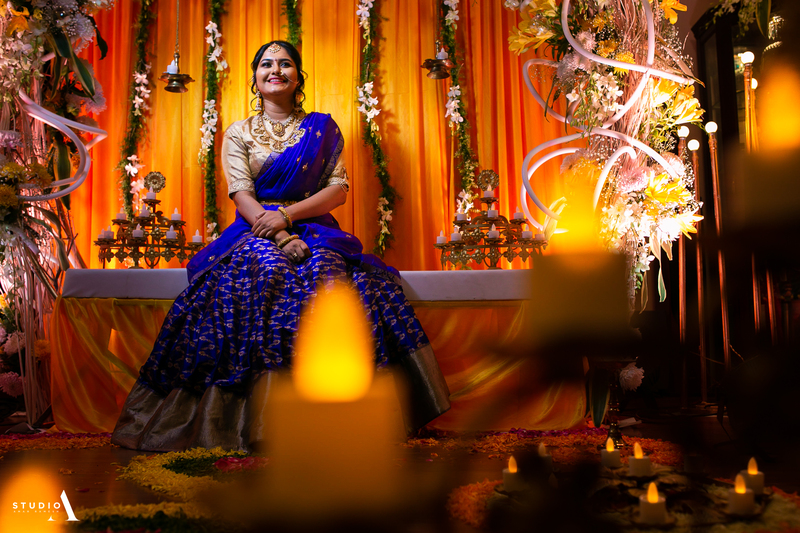 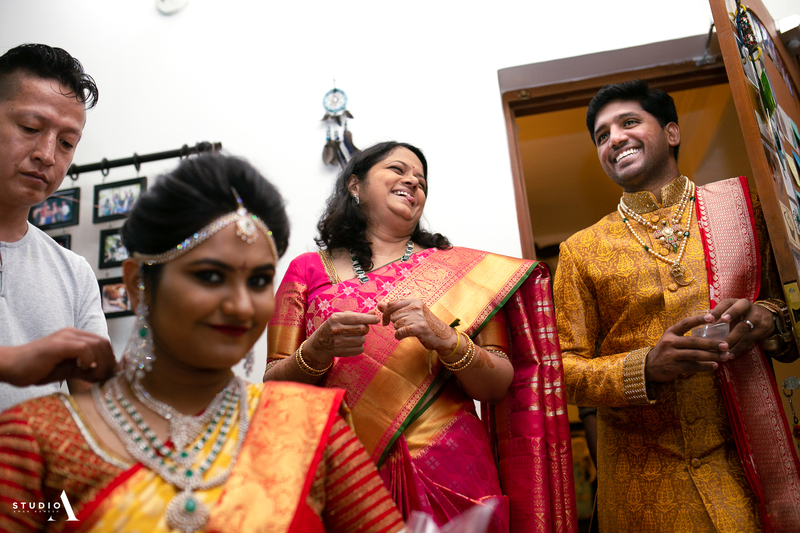 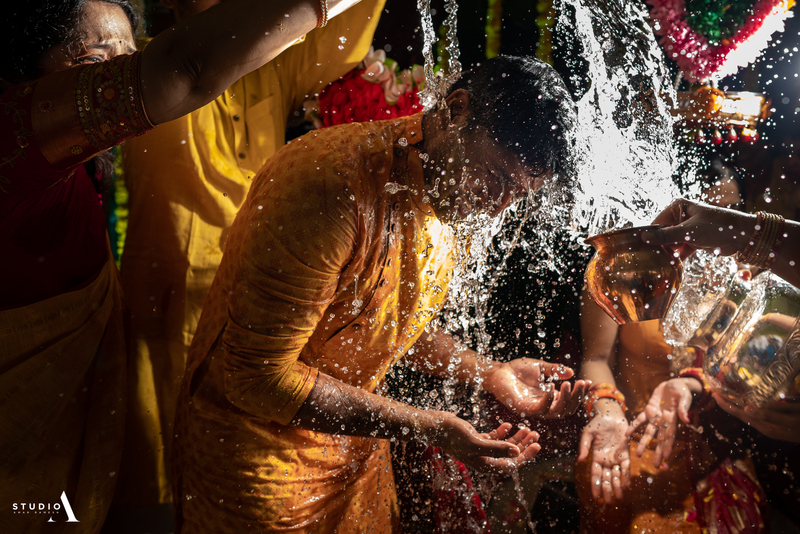 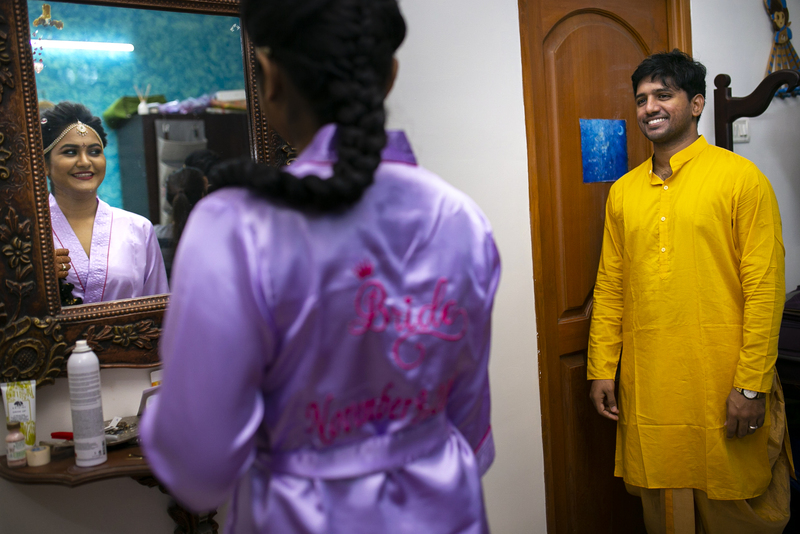 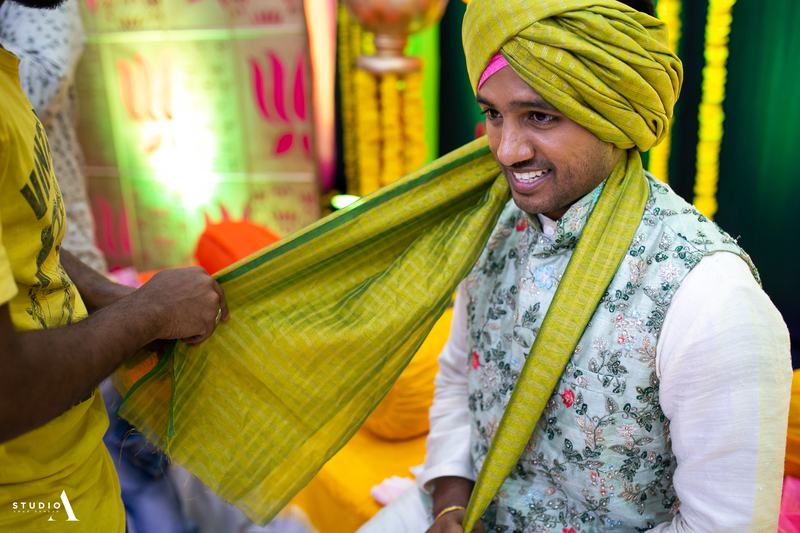 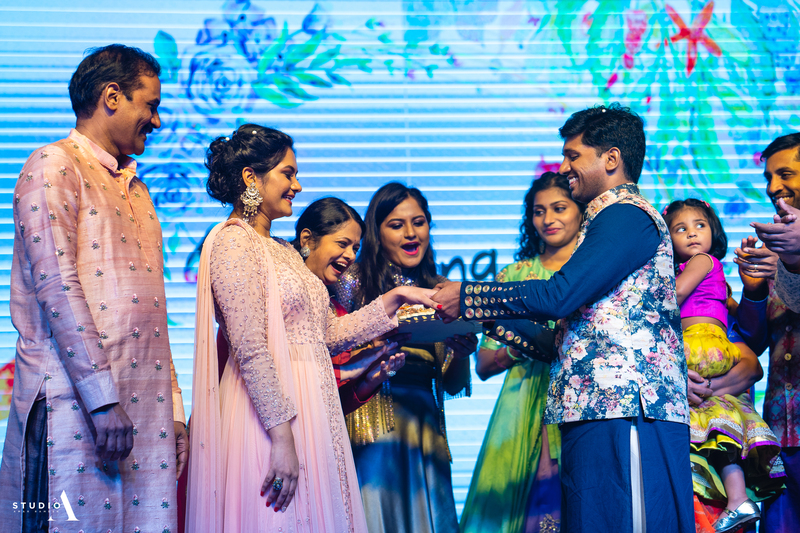 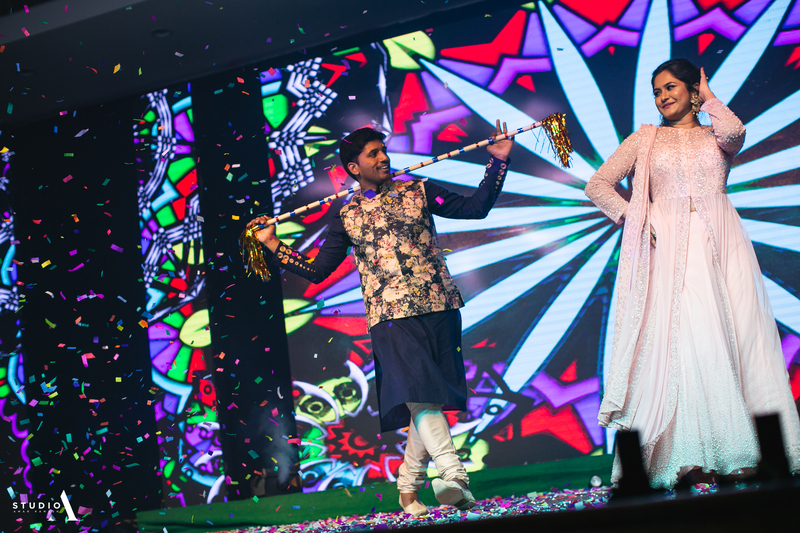 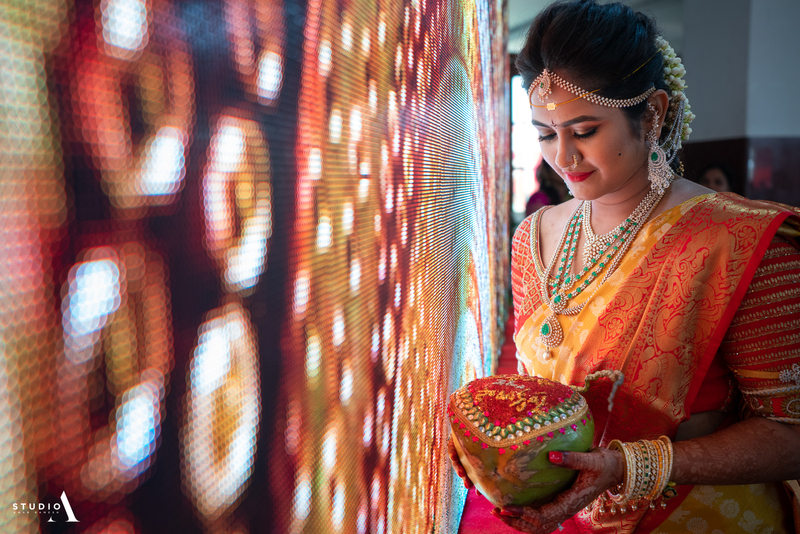 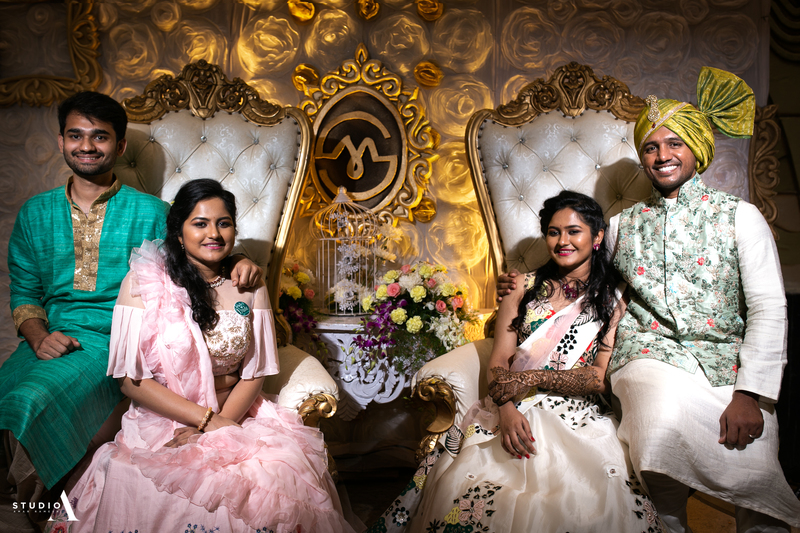 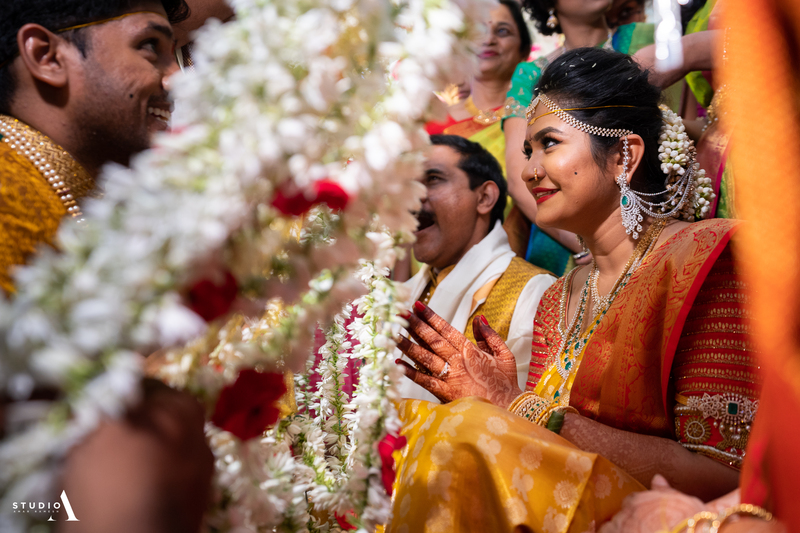 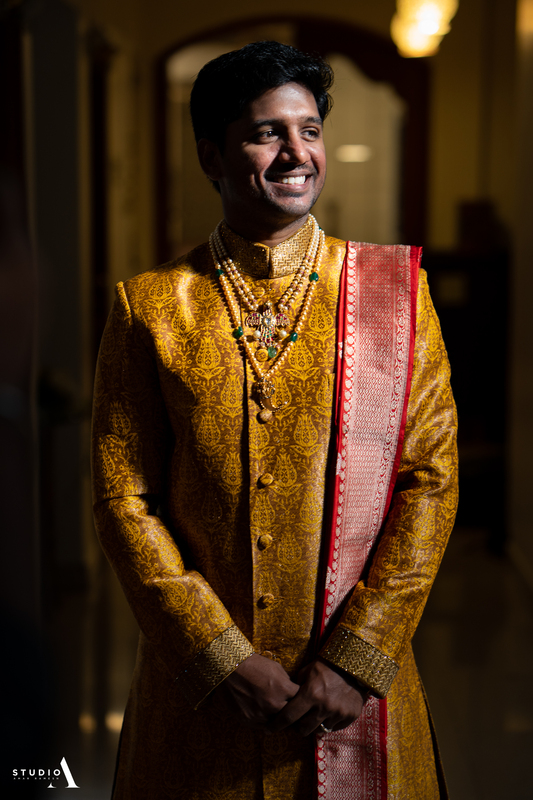 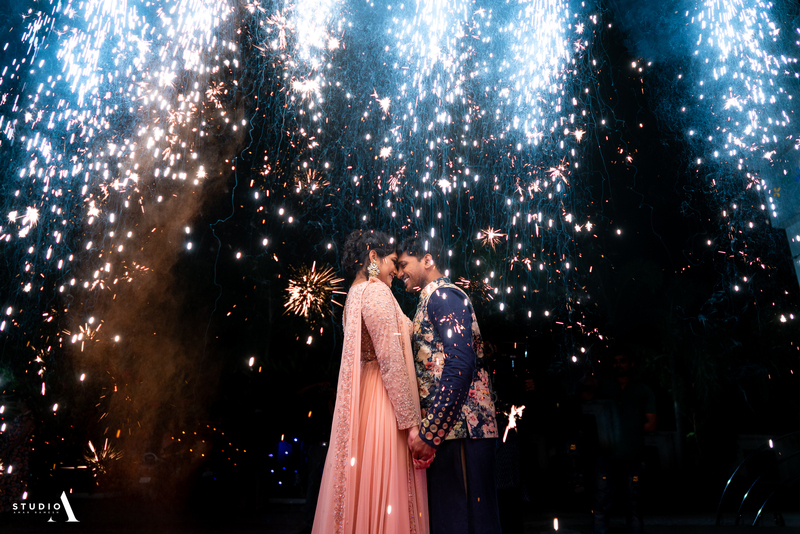 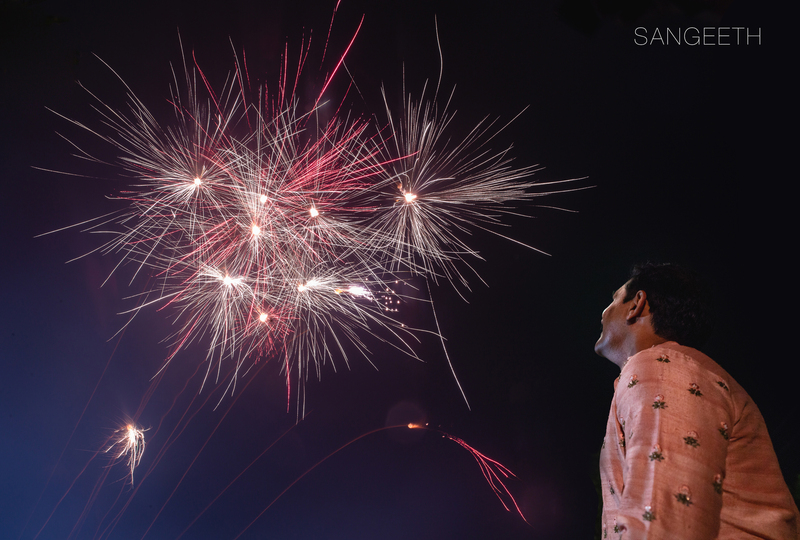 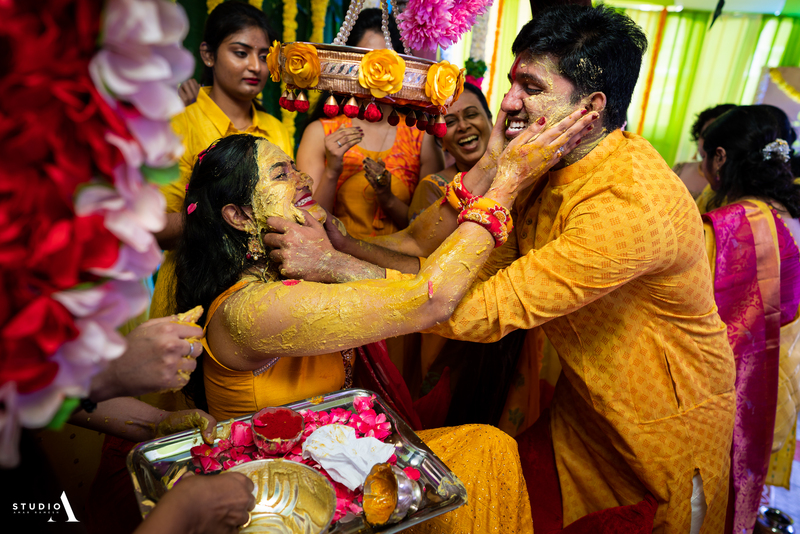 There, a connection was made and the next thing we know, Meghna wed Sai Krishna! 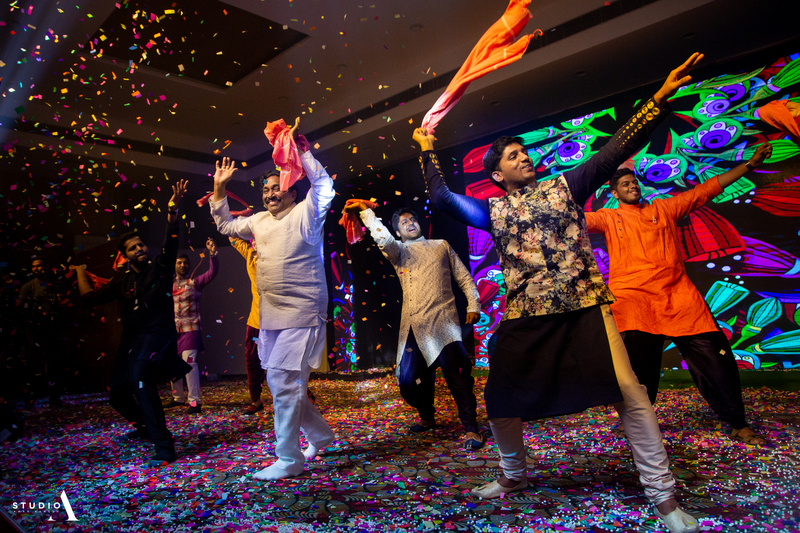 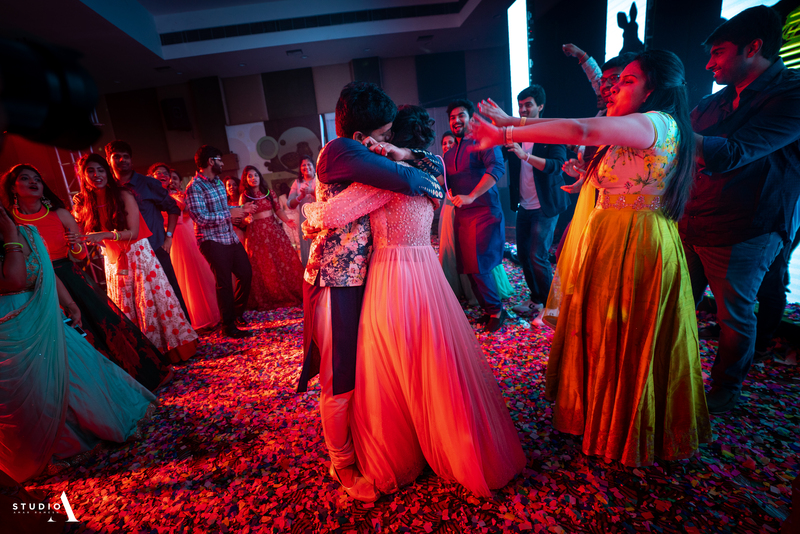 Quite a memory to look back, any time, this crazy couple's wedding gala! 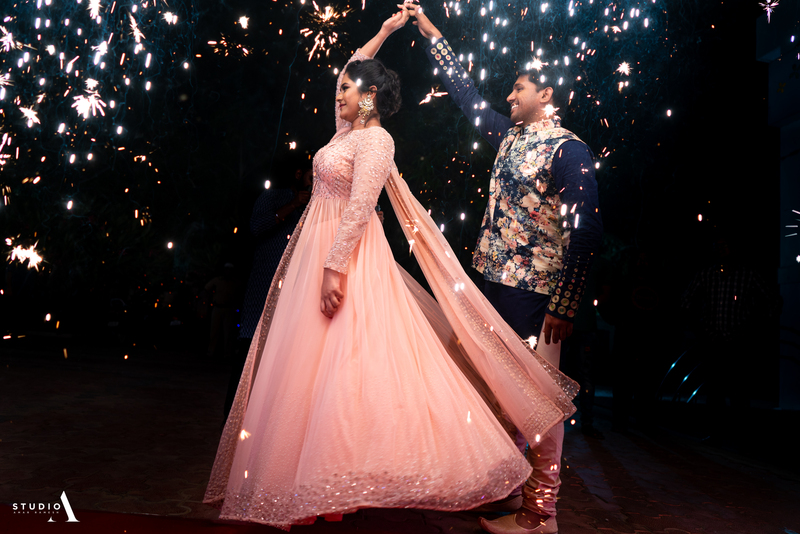 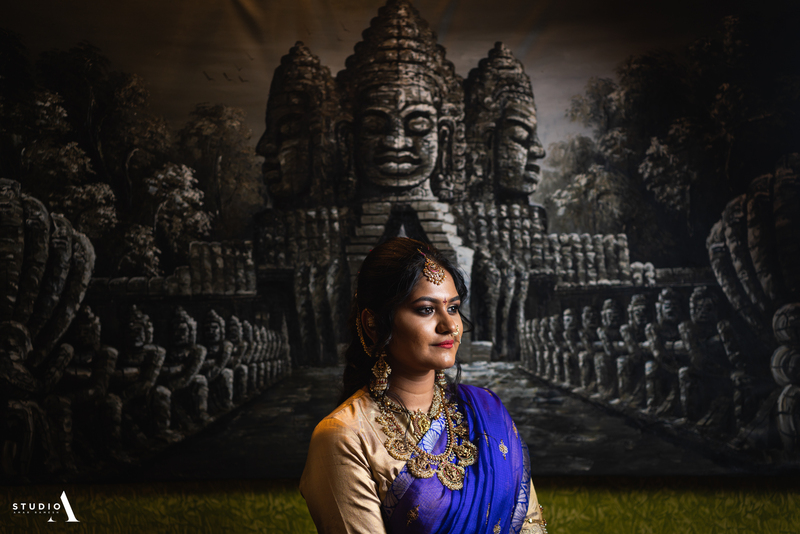 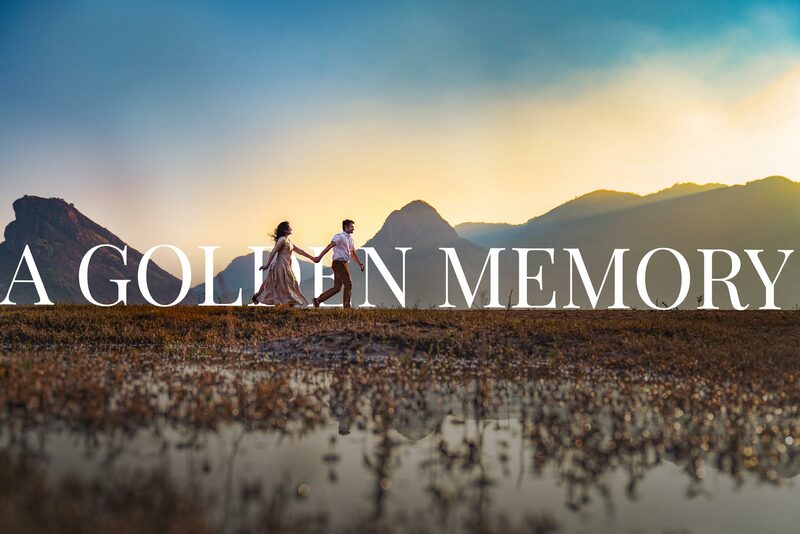 The pre-wedding shoot we had of this couple precedes everything else, given the way their ancestral home stood tall with the grandeur of memories that has seen generations. 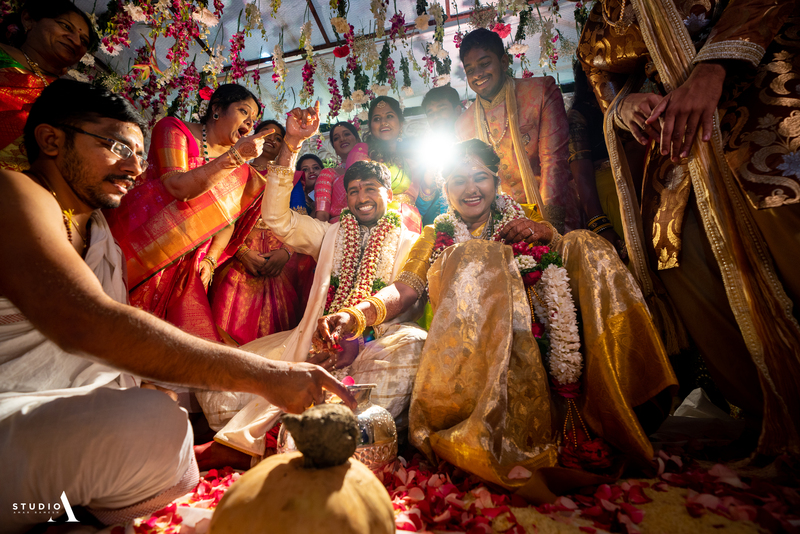 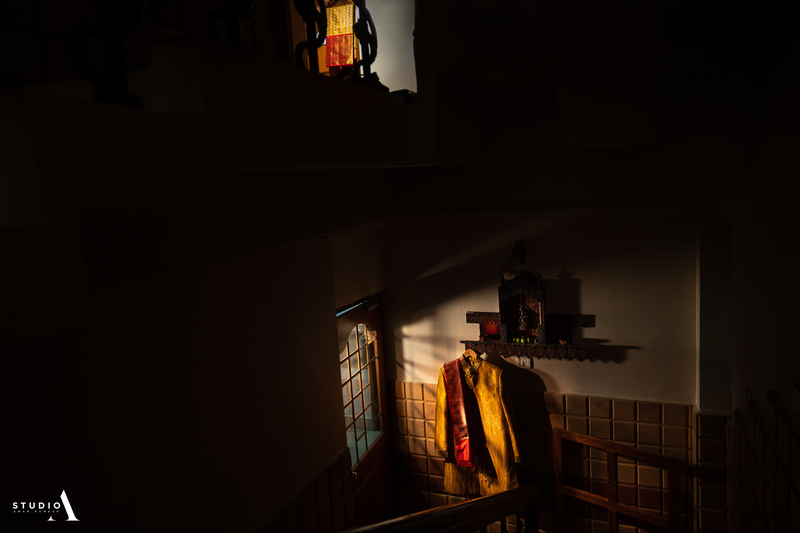 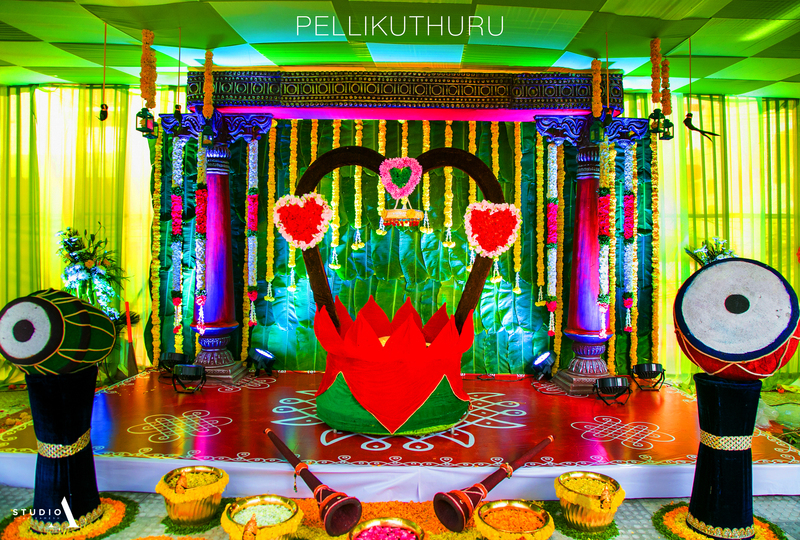 There was the warmth of a family, the music of companionship and the magic of a new ceremony on the cards. 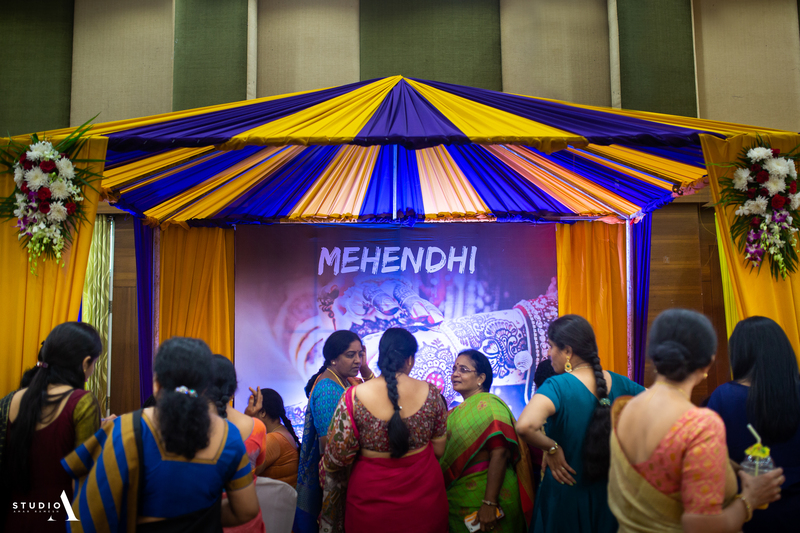 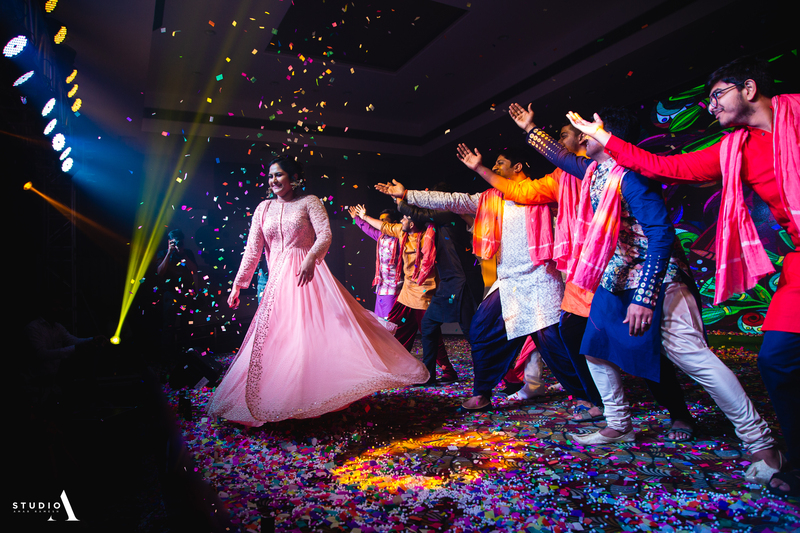 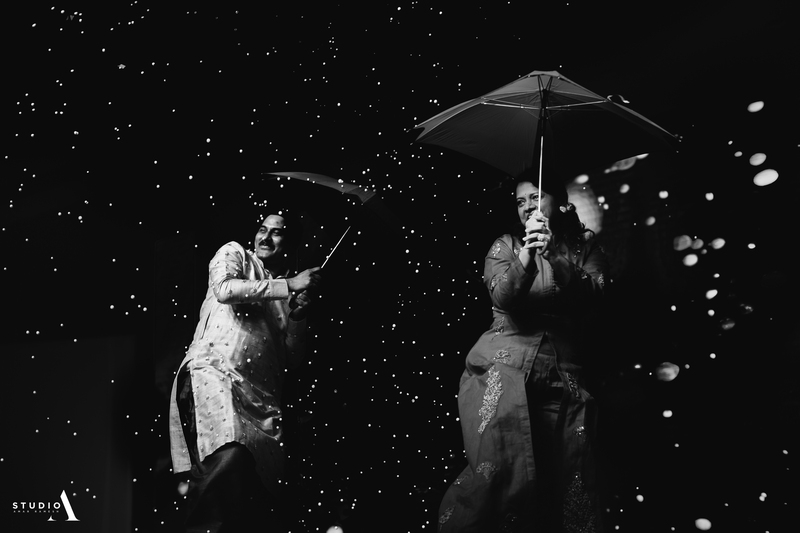 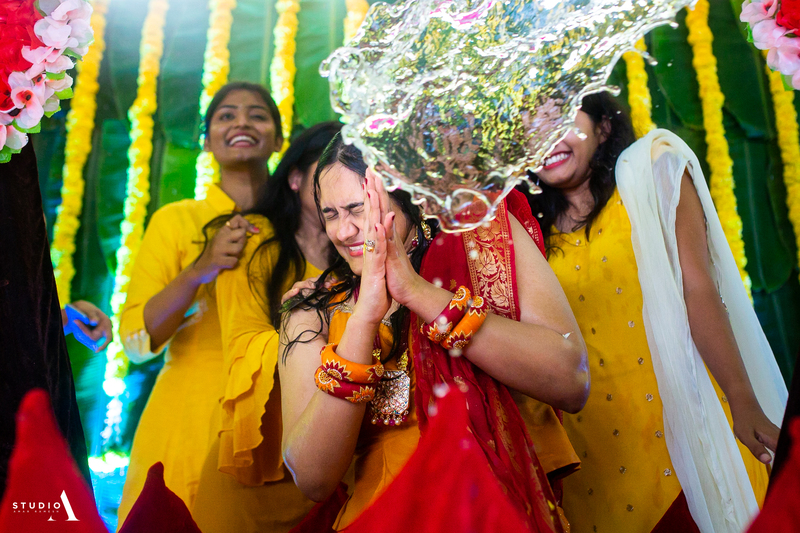 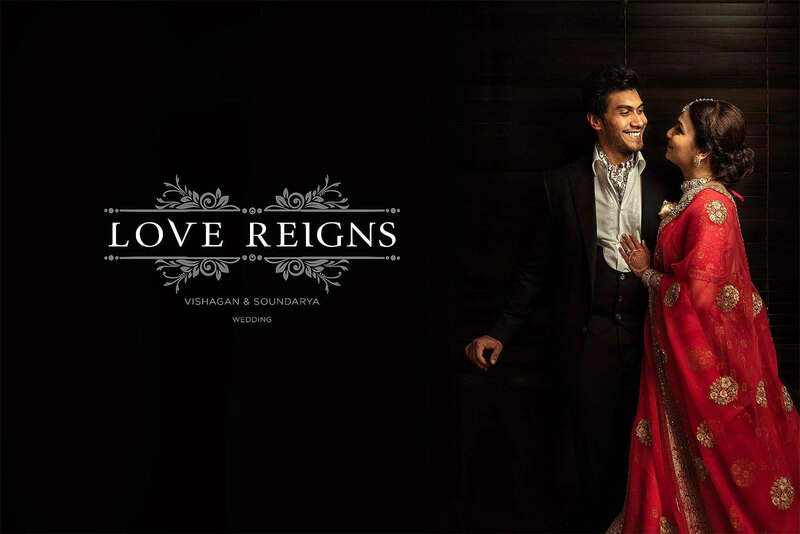 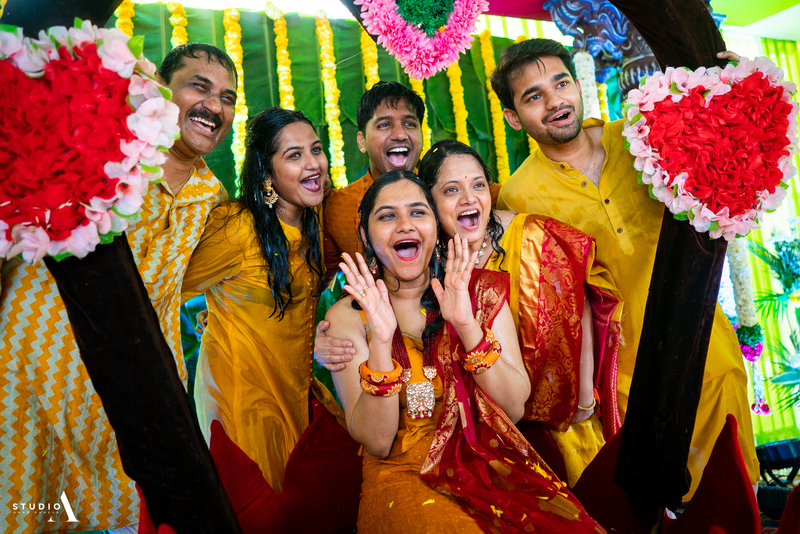 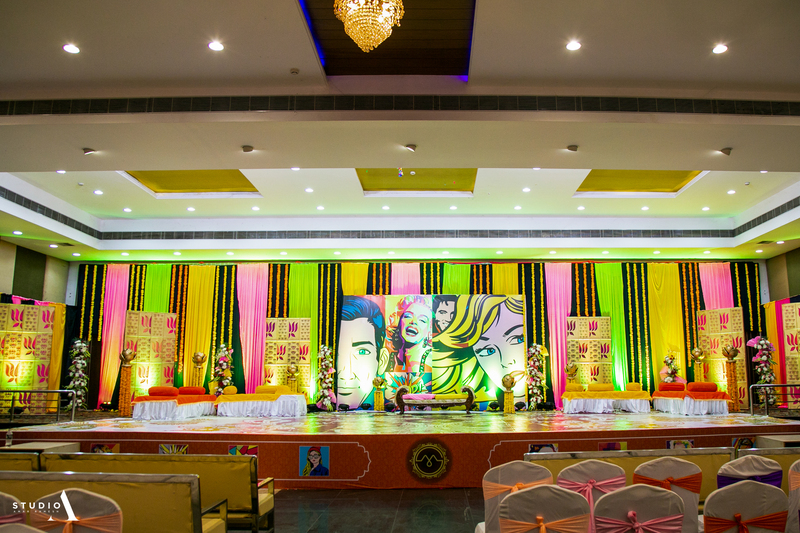 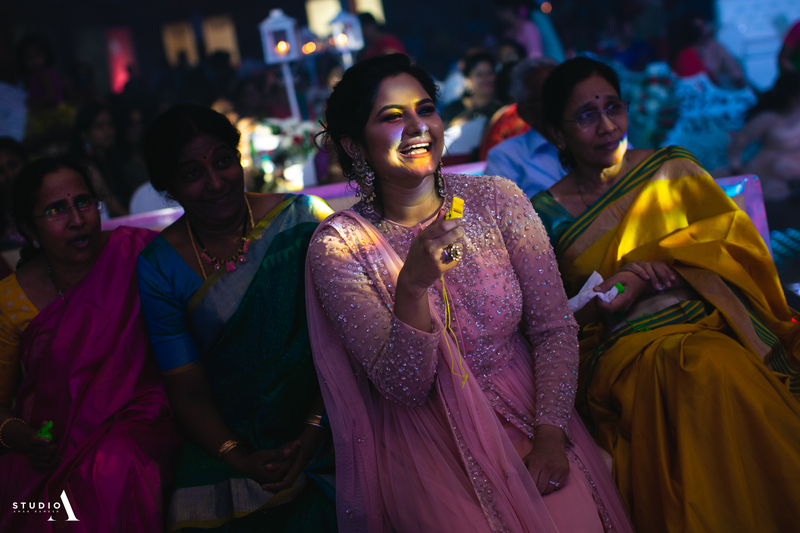 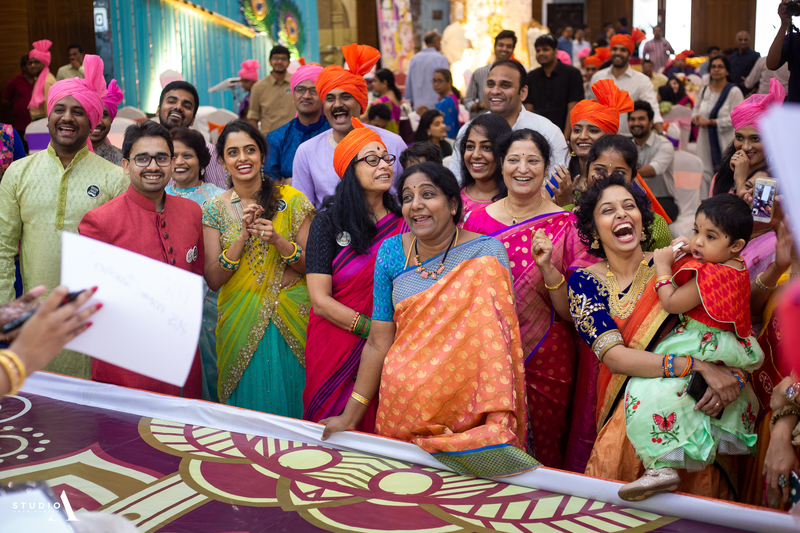 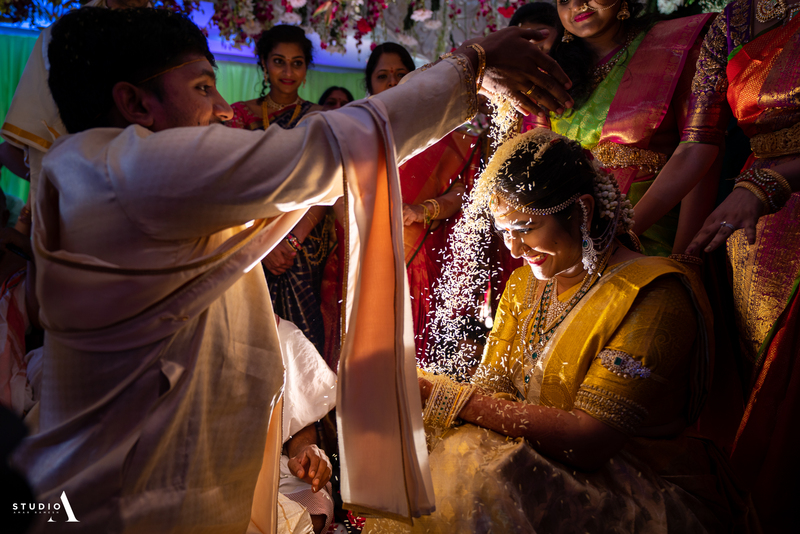 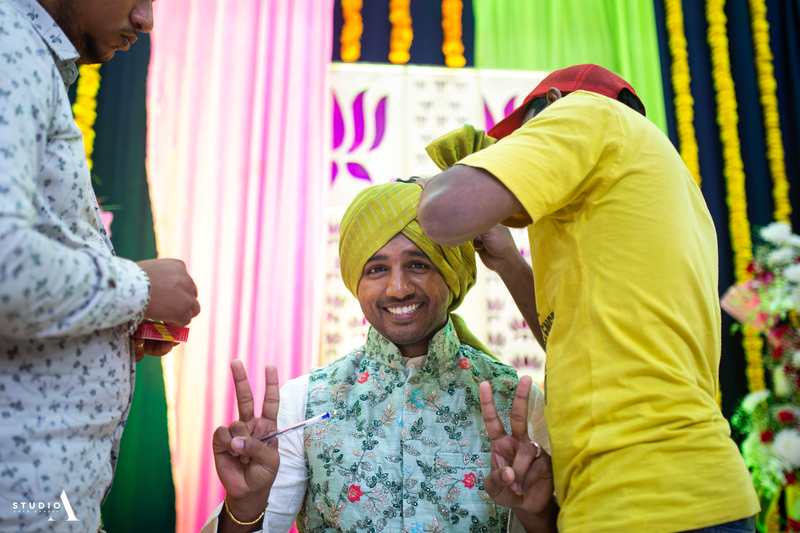 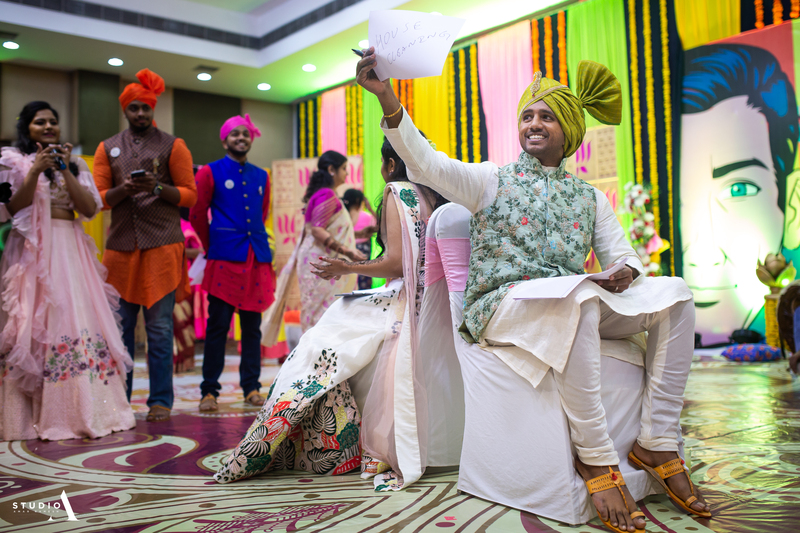 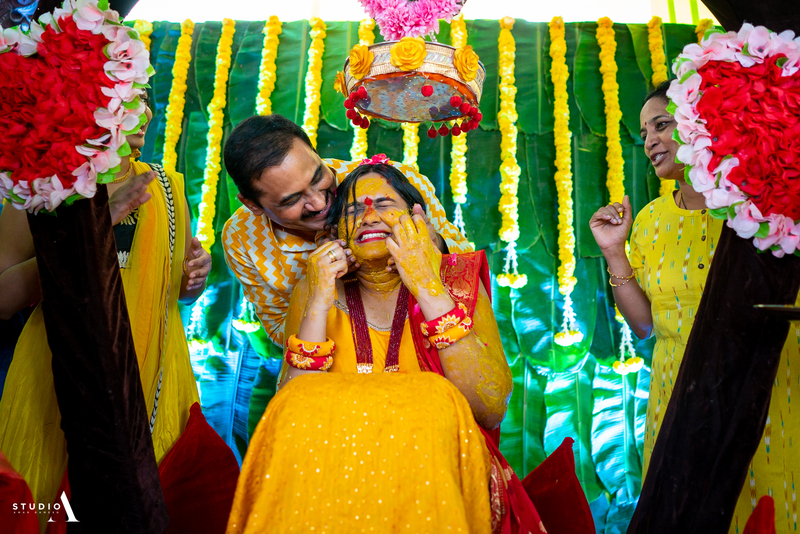 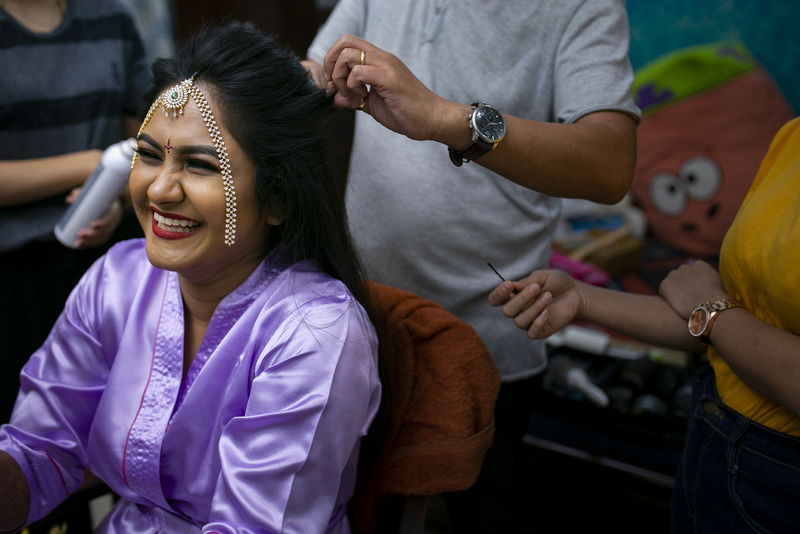 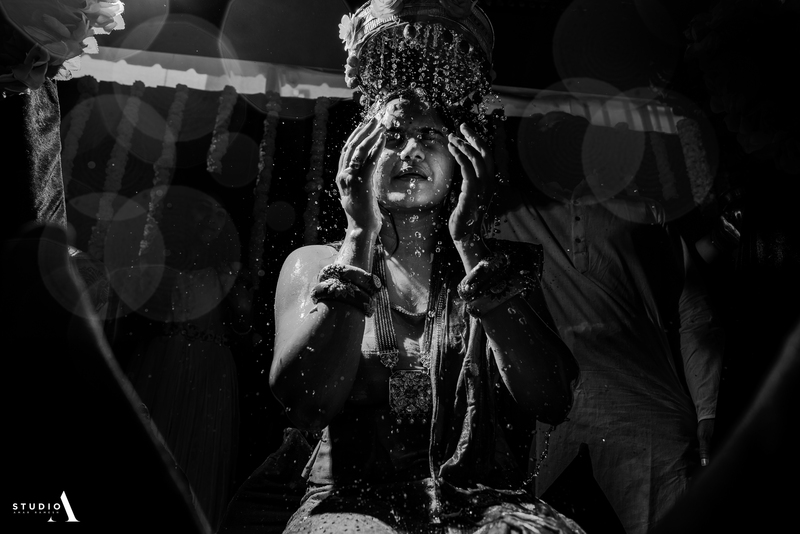 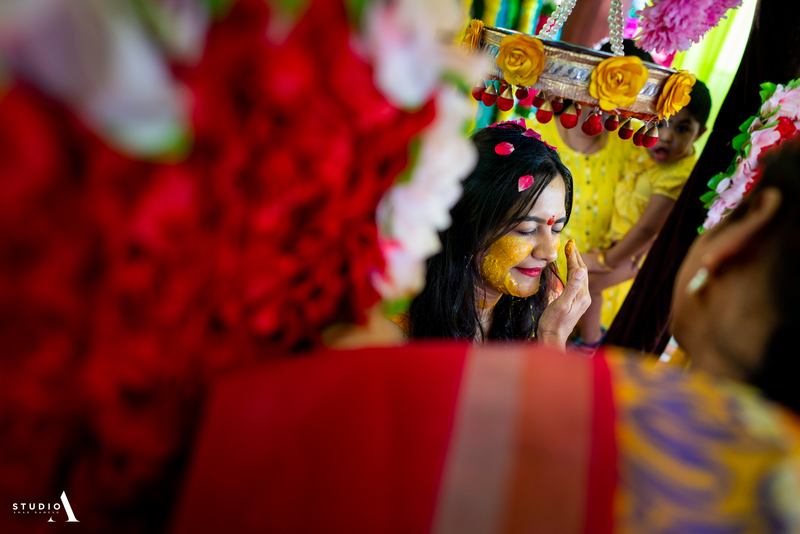 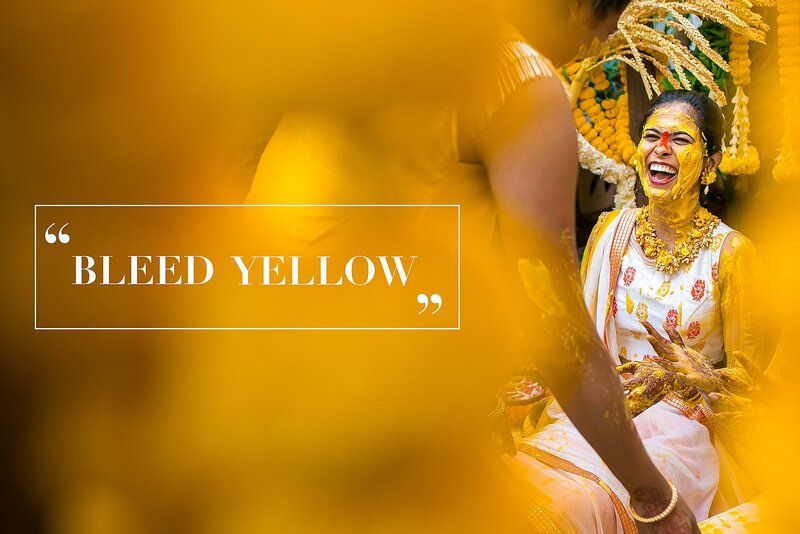 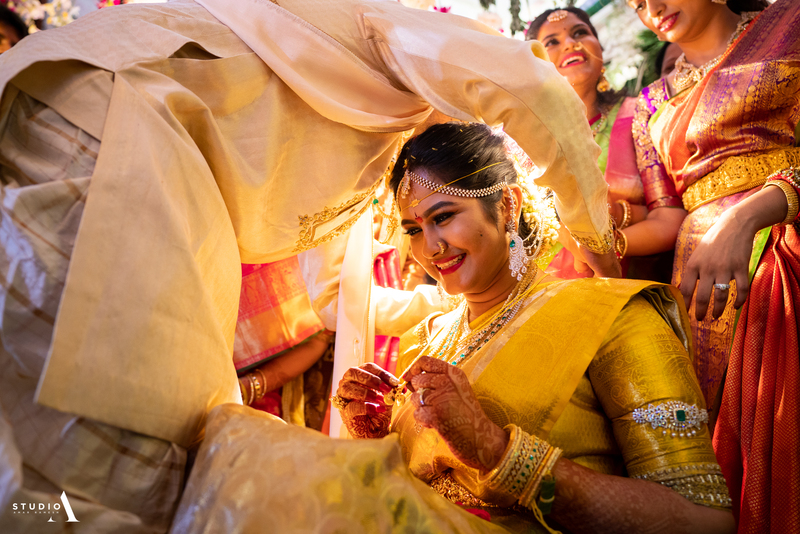 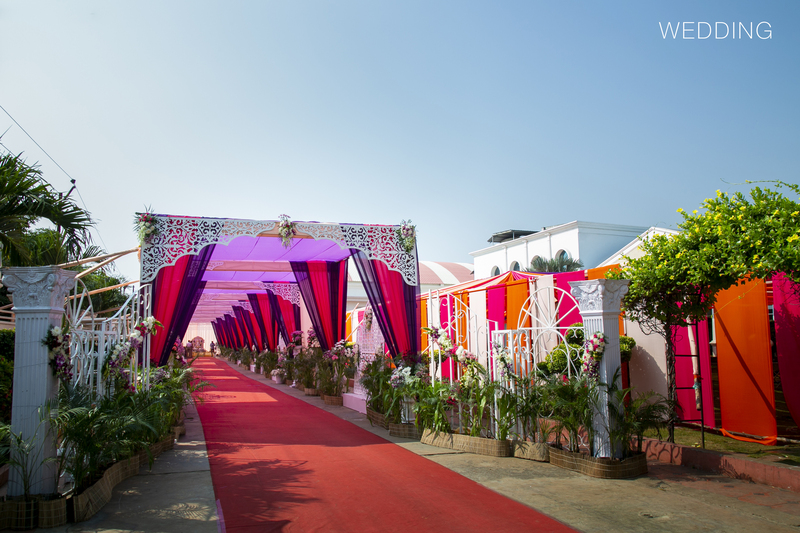 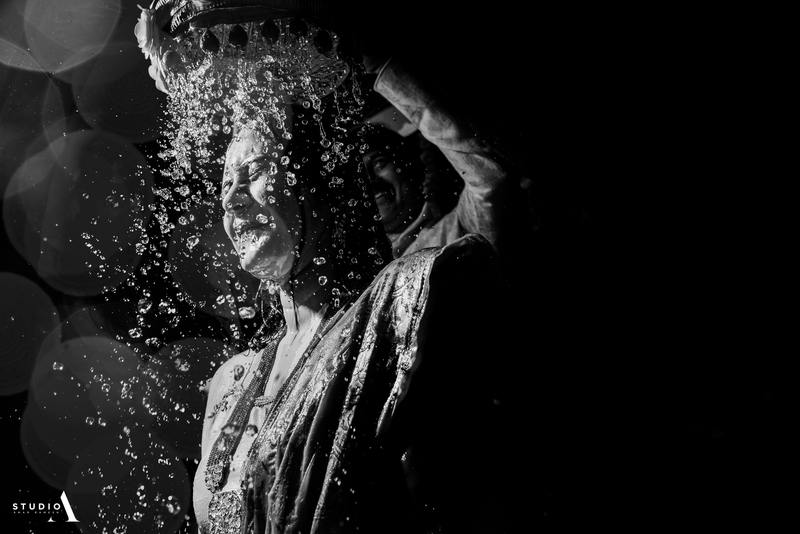 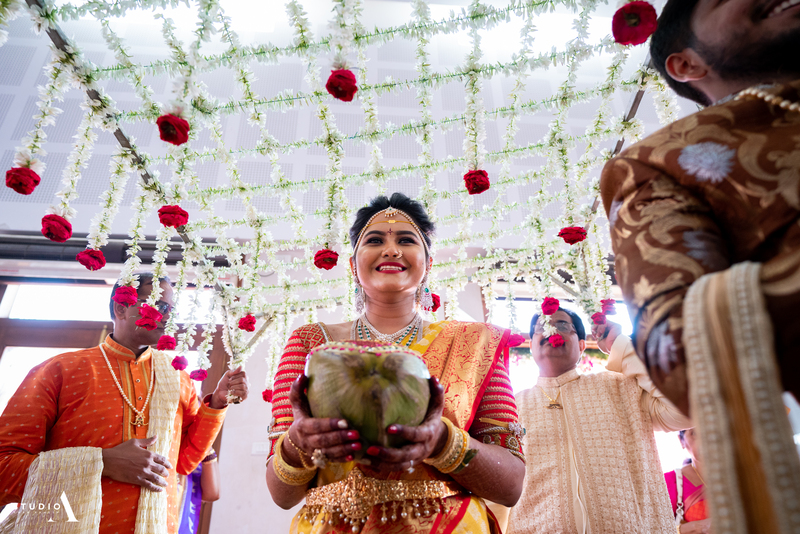 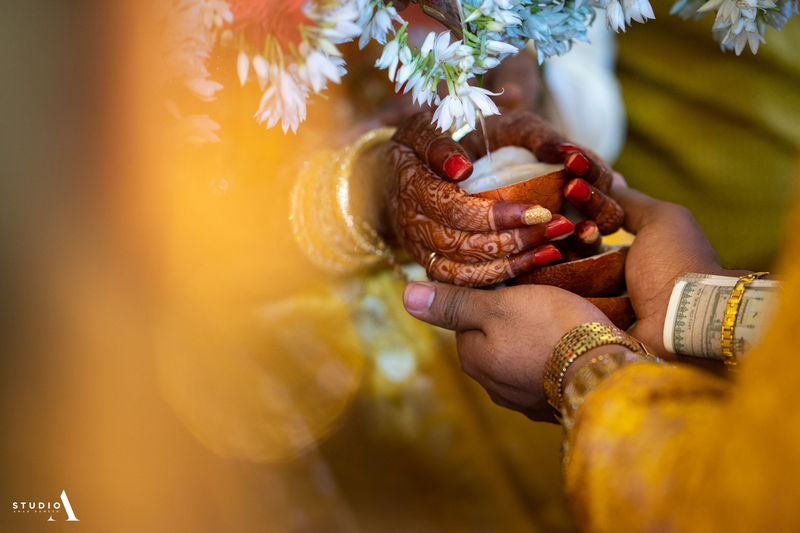 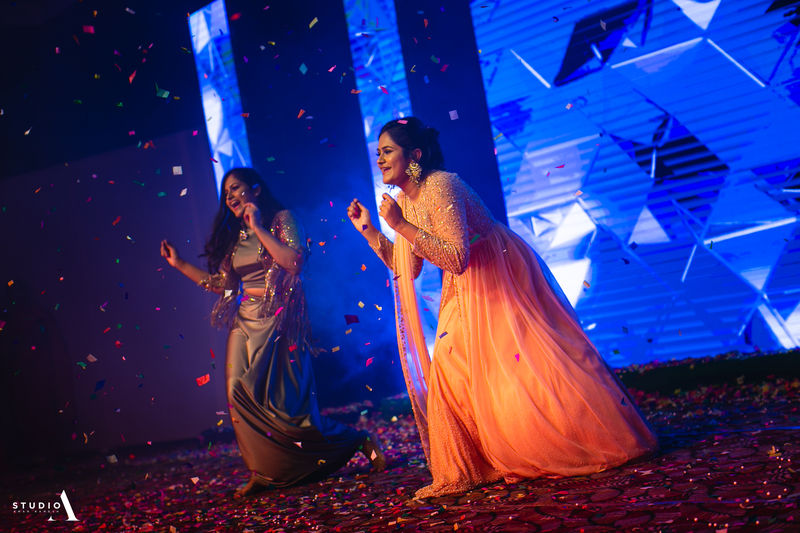 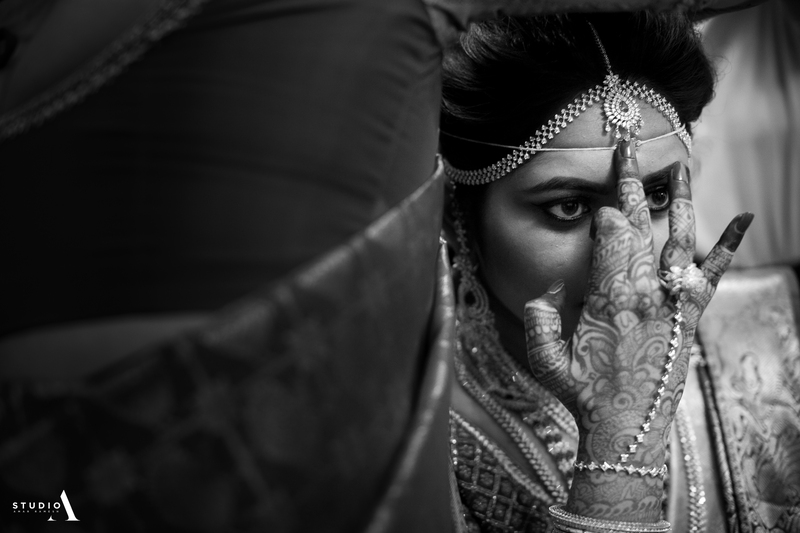 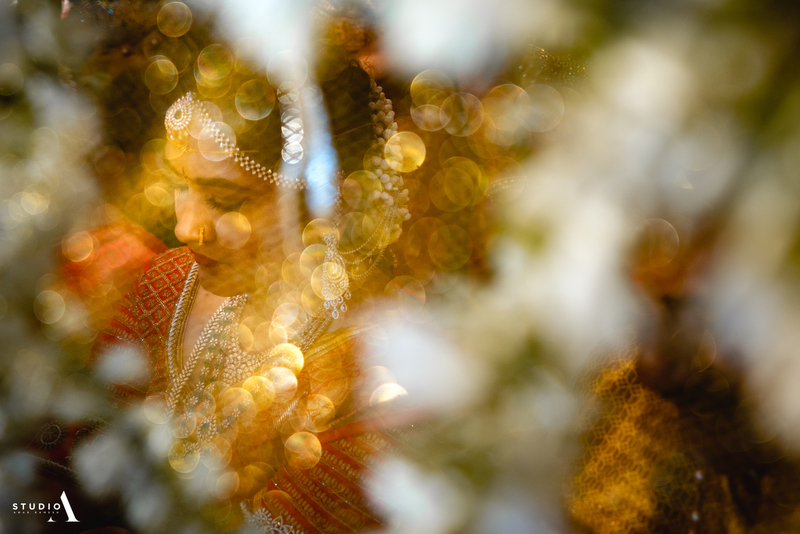 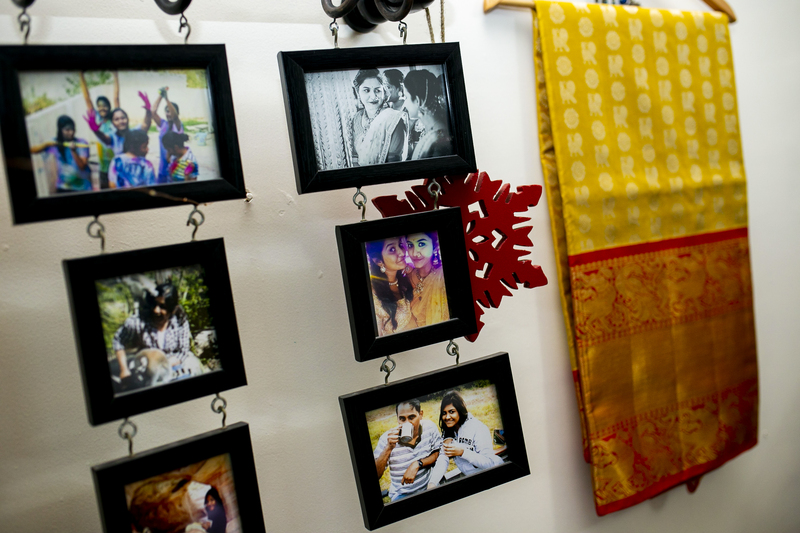 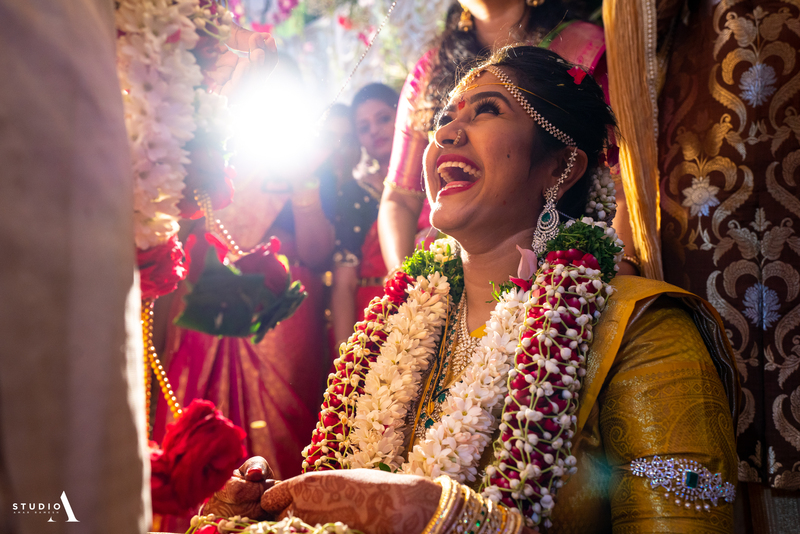 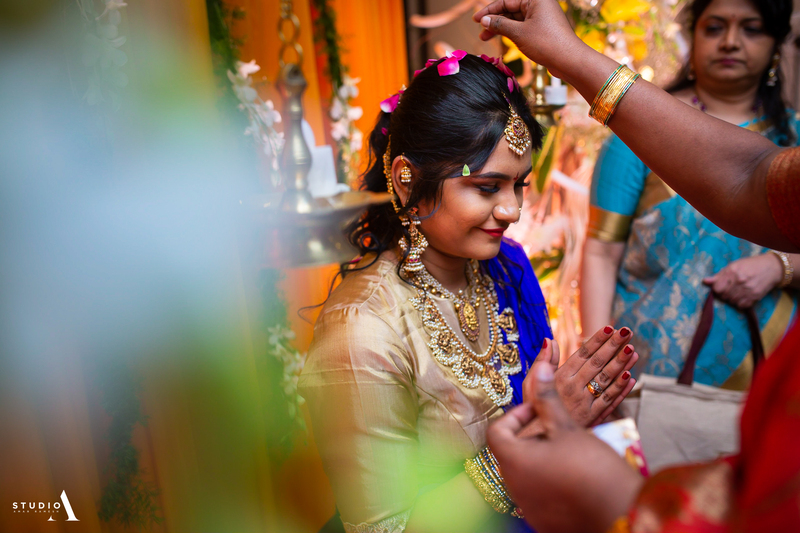 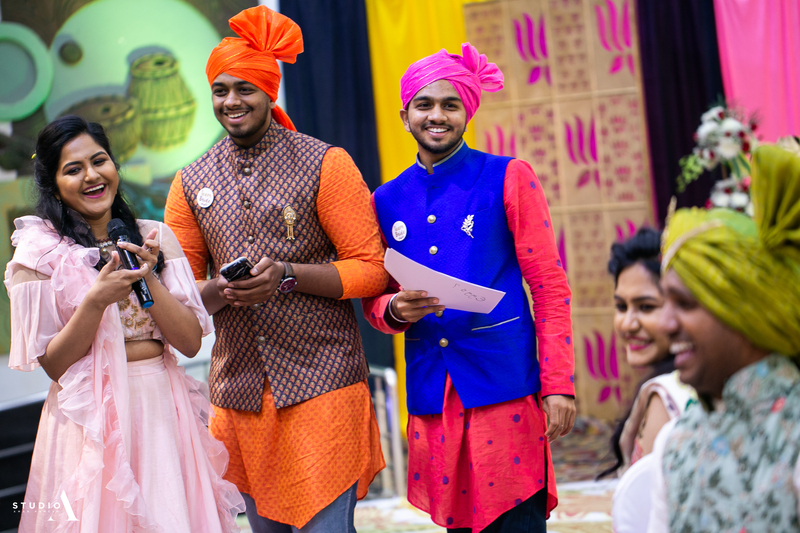 Just as this feeling sinks in genuinely, the bride Meghna surprised us with a revelation. 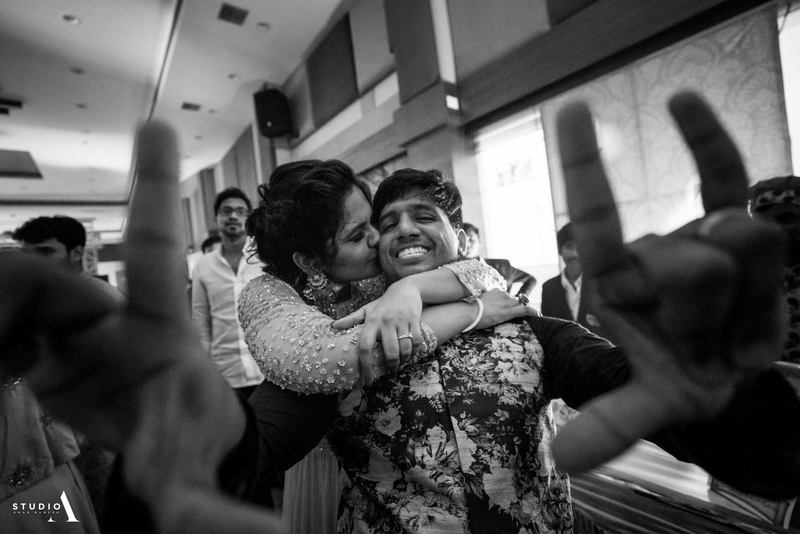 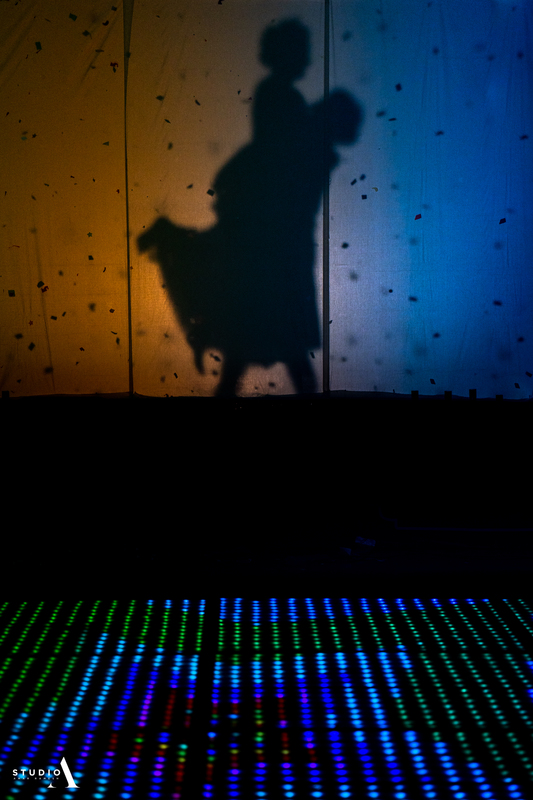 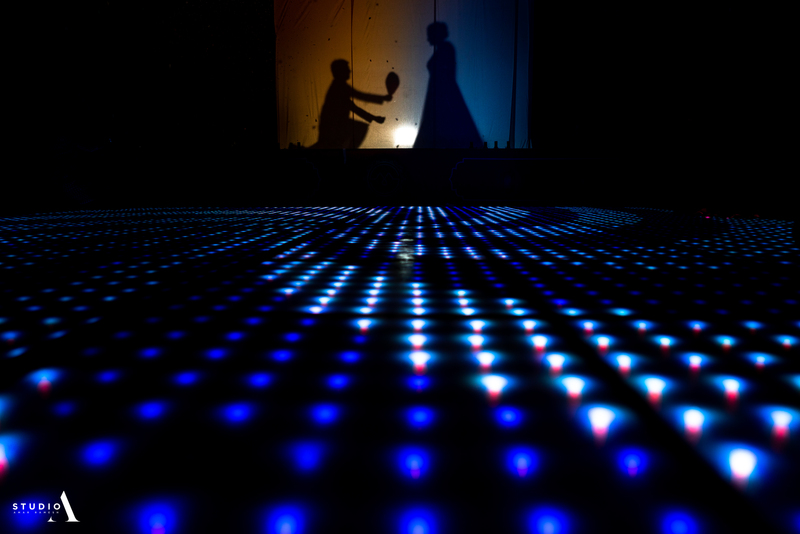 "Well, if you ask me, I have a love story to tell about how Sai Krishna and myself got together. 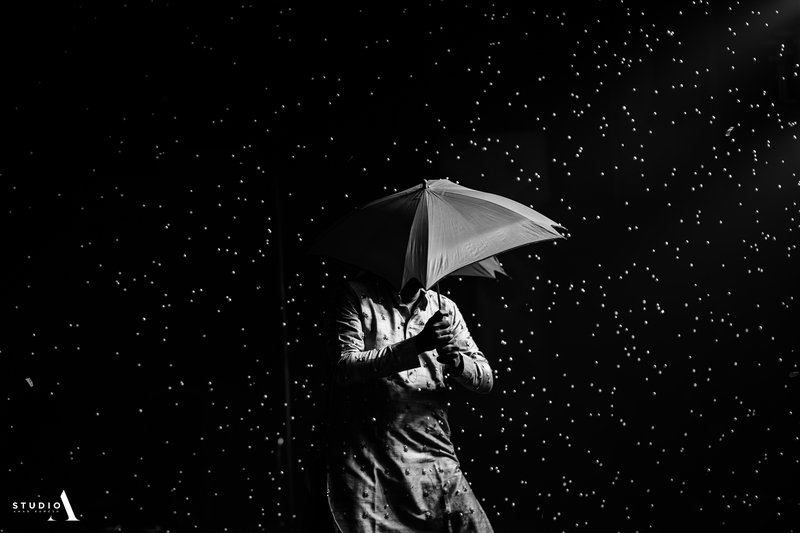 If you ask HIM, he will have a story to tell. 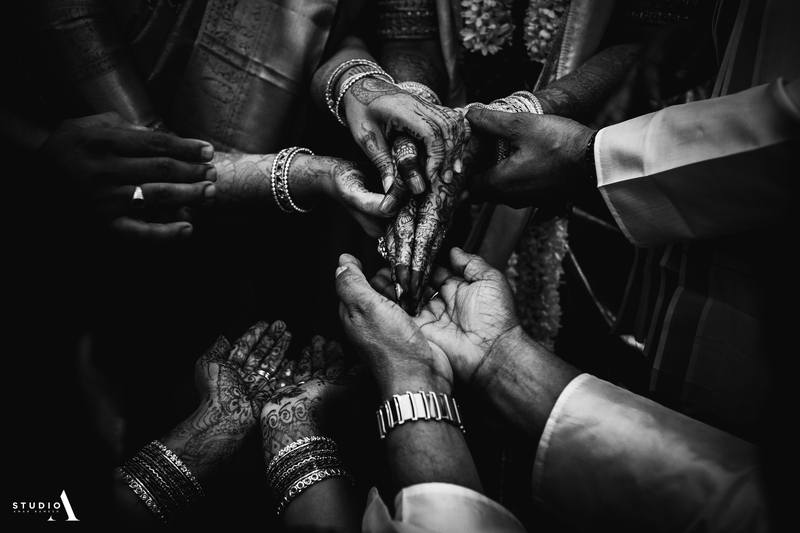 If you ask our parents, they will have a story tell. 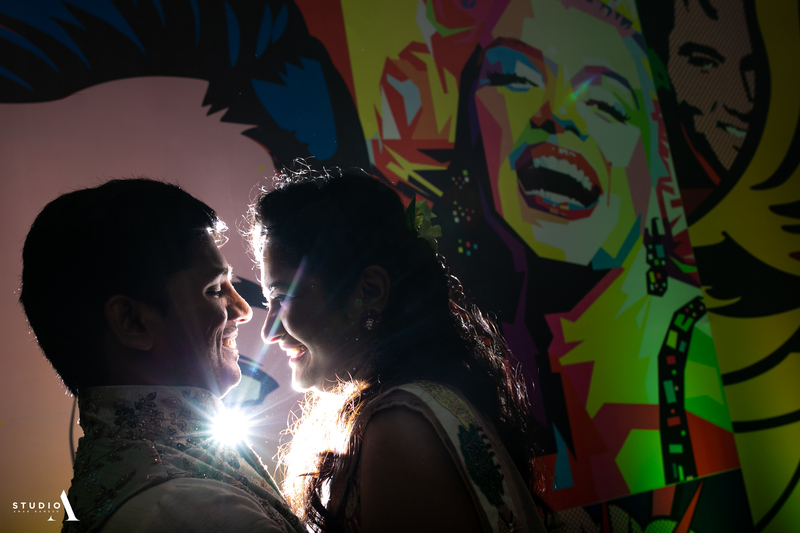 So almost three love stories, and all of it came true, and here we are as ONE" she said with a smile that stands etched. 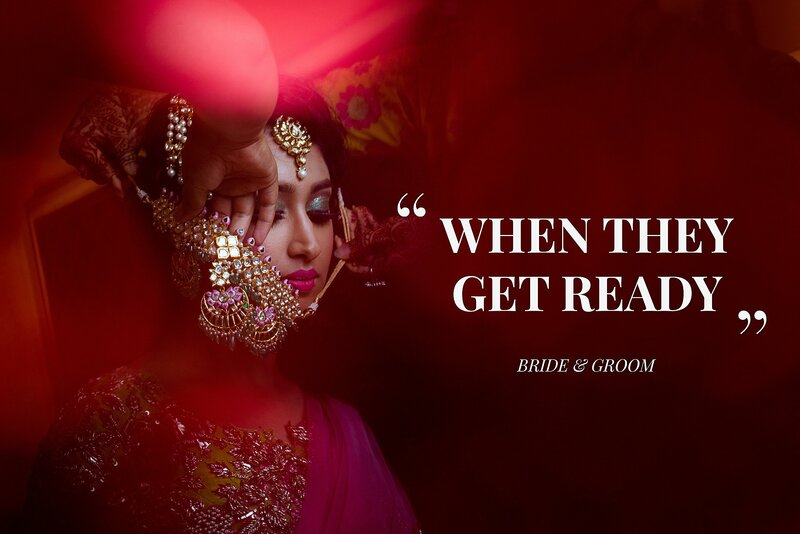 Hard to comprehend this feeling, it's a love thing!